Anyone who knows me at all knows this…I am a Type “A” Personality. Actually, I’m not sure Type “A” is quite good enough…is there a Type Double A? I’m always going 90 miles a minute, juggling projects, taking on too much–I don’t know when to stop. Inevitably, I will overbook myself and then melt down when I can’t control everything. Do I learn my lesson? NOPE. NOT A CHANCE. 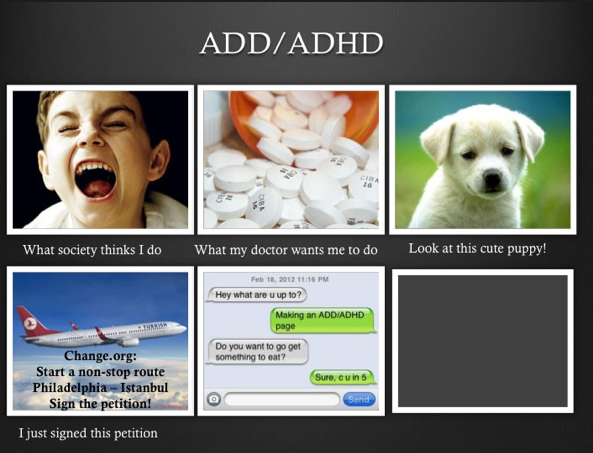 Both my daughters are also Type A’s. This is both good and bad–having three strong-willed women in one household, fireworks can fly, my friend. When we’re angry, you KNOW. EVERYBODY KNOWS. People in Africa know. Forget sparks. Entire fireworks shows take place. Forest fires begin. Civilizations burn. Because God thinks it’s funny, he sent me a Type “B” husband. Oh, and a Type “B” son. Because irony. Meanwhile–I’m watching the whole thing deteriorate … biting my nails down to nubs. Hubby and Mancub are lounging around … la tee da…like there is all the time in the world. I just want to place a disclaimer out there: Type B’s get mad too. It’s just instead of fireworks, it’s more of a slow simmer. Instead of yelling, it’s THE ICE AGE. Glaciers float by. Time stands still. It’s always winter and never Christmas. Just in case you need a refresher, Type “A” is the bossy, controlling, planning personality. Type “B” is the laid-back, “no worries”, easy-going personality. As they say, opposites attract, so these personalities can complement one another. They can also DRIVE ONE ANOTHER CRAZY! It’s come to my attention that 99.9% of the battles I have with my husband and son are probably personalty related. The other .1% is this: they are giant slobs. Anyway, I’m not saying that we have it all figured out or anything, but it does help to have a strategy. Here are 3 tips to keep in mind if you and your kid are opposite personalities. Try to keep your cool. If you feel your temperature rising (or lowering, Type B’s), take a moment. Breathe. Take a coffee break, or a walk around the block. Do your taxes or something else relaxing. Everything doesn’t always have to be worked out right this second. Choose your battles. Type A’s–loosen up a bit. Every second doesn’t have to be planned. You don’t have to be in charge of everything. If you find yourself organizing sandwich bags by size, just stop.Type B’s–don’t be an anchor–contribute. Trips, events, etc. all take work. If you don’t want to plan, at least help carry. It’s a work in progress, people. Sometimes, all you can do is try to live another day. And tell him to pick up those socks. We aren’t barbarians. 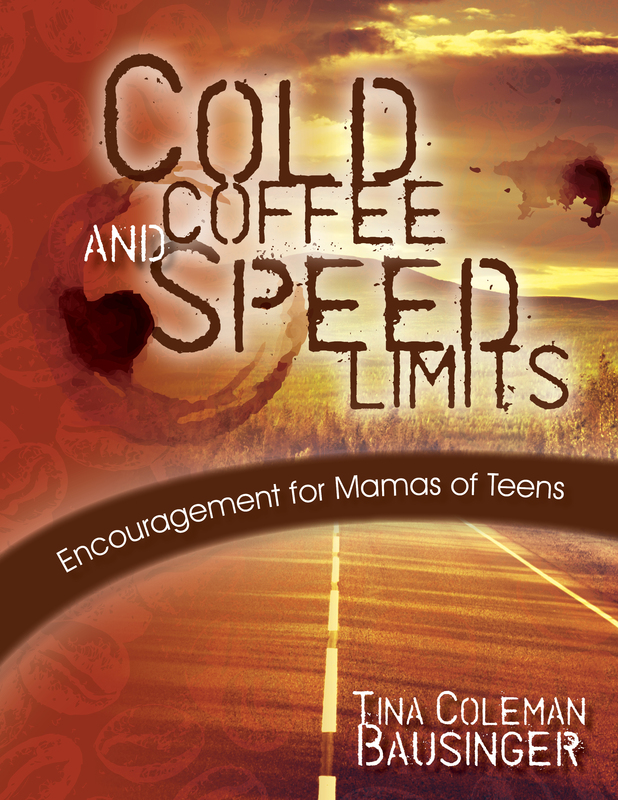 Tina is the Author of Cold Coffee and Speed Limits: Encouragement for Mamas of Teens, a best-selling book on Amazon. When I went back to college full time at the age of 34, I was clueless about what to expect. Being what I called “The Elderly” student, I avoided making friends and wanted my focus to be solely on making good grades. I had a family and a full time job. I didn’t have TIME for anything else. Here’s what I wish someone had told me. Study buddies help your GPA. Get to know your classmates. Our society is gravitating more and more towards social media, but away from actually being social. Making friends in your classes gives you someone to call if you miss an assignment or don’t understand something. Of course you can always ask your professor, but just having a peer back you up can be invaluable. English majors can sometimes be awkward around others—we live in our heads and in books and because of this we sometimes have trouble talking to others. Take the leap. Make a friend. Having a community of others who are going through the same thing can really help you stay in the fight. Ask for help. Sometimes with work and school and family—the task of finishing school can seem insurmountable. It’s difficult, but not impossible. Share your struggles with your family and those closest to you. You will be amazed how people will support you if they just know that you need help. Take a moment to count your blessings. This is difficult in the thick of it, when you have finals and essays and projects all due at once. Those of you with kids at home, this is even more important. I always felt a bit guilty about not being able to attend every ball game, every meeting, etc. but I made a point of verbally and physically demonstrating to my family how important they are to me. Don’t be afraid to show your kids/spouse/parents your struggle. My son is a junior in high school, and I’m constantly checking with him to see if he has homework, what his grades are like, etc. Last week I didn’t do so well on a quiz myself and I told him that too. I don’t want to hide from him the difficulty of college—he needs to know it’s hard—but I also don’t want to paint a false picture that it’s easy and effortless. He also knows what a difference having parents who both have degrees has made in his life. His older sisters did not benefit as much as he has, and he is aware. If he ever forgets, they are sure to tell him. Take a moment to smell the roses. When I was attending college I used to work night shift at Trinity Mother Frances and then drag my tired self to class until noon. One morning, Tyler had an unexpected snowfall that simply blanketed the area, covering everything with a sparkling white frosting. Everyone was relieved to get a snow day, and all I could think of was YES! I GET TO SLEEP. When I came home, my son was running around the yard playing in the snow. He asked me if I wanted to have a snowball fight. My first answer—not really. I want to go to bed. I have homework. I’m exhausted. But that look of excitement stopped me. Yes, let’s have a snowball fight. That is a memory we both have stored in the back of our minds. 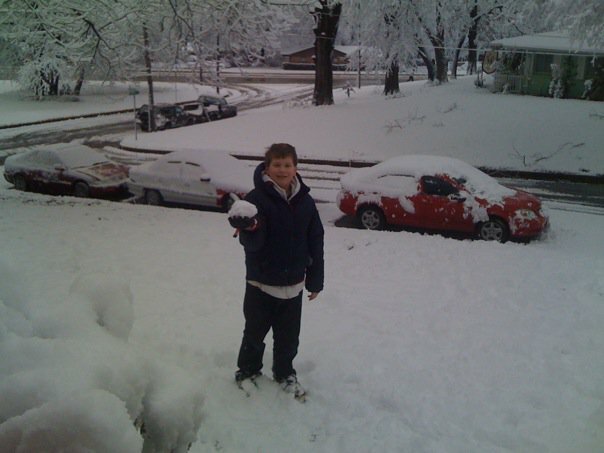 When he was 10 years old and he chased me around the tree house pelting me with snowballs. The tree house is gone now, and so is my little boy. Now he’s 16 and 6’4” and driving his girlfriend to the homecoming dance. I’m working on my doctorate and he’s about to graduate. Time moves so quickly…so it’s okay to take a moment sometimes. Keep studying. Keep writing. Keep living. Play in the snow occasionally–so all your hard work is worth it! Read more in Tina’s new best-selling book Cold Coffee and Speed Limits, now available on Amazon! Kristen is my social media HERO! And, she make me giggle. Other writers frequently ask how I somehow manage to get a lot of stuff done, despite my having the attention span of a ferret…with a bad crack habit. Here are 10 ways to help you be productive even if OOH! SHINY! …even if you tend to be a tad majorly ADD. The following tips are what help ME stay focused. I am NOT a doctor or psychologist or ADD expert. I’m a Jedi master, warp engine inspector, and WRITER so you get what you get. We’ve been talking this week about how to be able to do all it takes to not only be a digital age author, but to freaking ROCK IT while we are here. Truthfully, the explosion of social media is just proof to me that ADD people will rule the world…which probably explains all those “End of the World” prophesies.